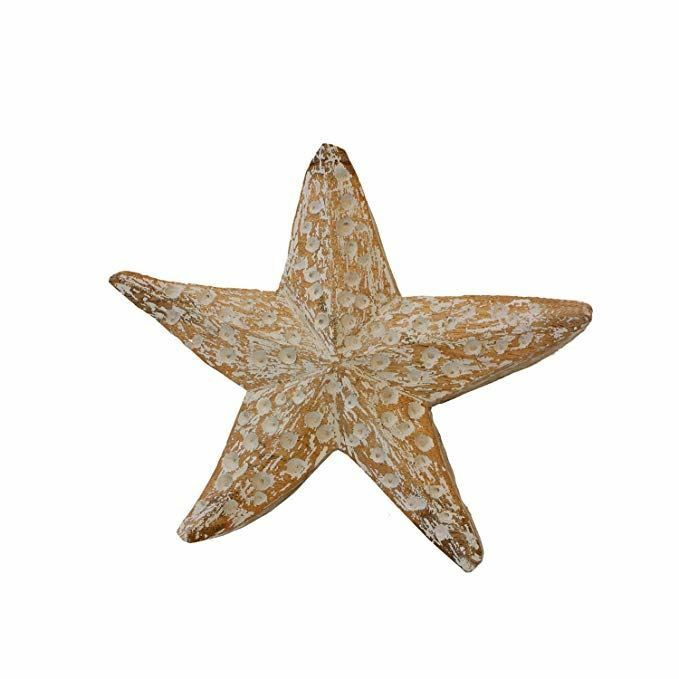 Small starfish figure with a subtle brown, orange color with white dimples for a realistic look. Small starfish figure with a subtle brown, orange color with white dimples for a realistic look. Made of quality mango wood material. Perfect for displaying on a shelf or mantel as a decorative statement piece.